Although examples of format and packaging innovations in India are few, there are several such examples from the developed markets. Format and packaging modifications such as portion control, re-sealability and on-the-go consumption packaging are being used to create differentiation and further open up the market in the F&B space. Several brands have launched the controlled-calorie packs such as Kraft Foods’ 100 Calorie Packs for Oreo Thin Crisps, Chips Ahoy Thin Crisps and Wheat Thin Minis; PepsiCo-owned Frito-Lay’s also has100 Calorie Mini Bites Cheetos and Doritos. Several beverages have also launched 100 calories packs – such as Coca-Cola, Bacardi Breezers, etc. When Krafts Foods first introduced these in 2004 in the US, these controlled-calorie packs virtually created a new product category and Kraft notched $75 million in sales in the first year it introduced 100 calorie packs, as per IRI and their data didn’t include Walmart sales. Re-sealability is the latest in packaging. Zip-lock packs have been in the market for quite some time now, but the new offering in re-sealability is Snack-n-Seal. Once used largely for moist-towelettes, this type of re-sealable packaging is making its way into the snack food industry. It’s ideal for snacks like Oreos that need to be sealed but not refrigerated. 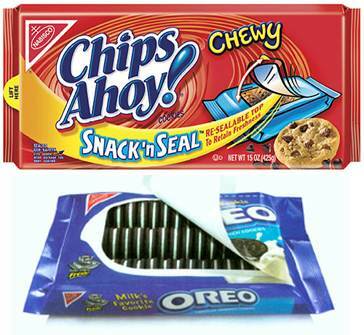 A large portion of the pack’s top may be peeled open to withdraw cookies, then resealed for freshness and on-the-go convenience. Earlier it used to be available in the wrap, roll, clip and seal packaging – which was convenient too, but the newer one is just way easier. Basis our observations, it seems like Kraft Foods is the pioneer in such packaging innovations. Others have tried a different approach – Keebler Chips Deluxe cookies launched a new Keebler Take-Alongs cookie multipack contains six on-the-go, single-serve cups that each hold four cookies. 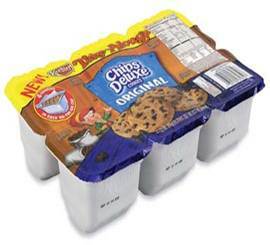 The new package addresses consumer needs for convenience and portability, while protecting the cookies from breakage. Another format that several brands introduced is the daily-dose packaging. 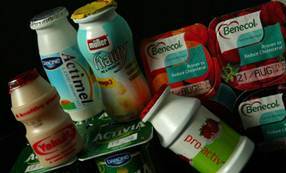 For example, in Europe, the daily dose packaging format has transformed the fate of the cholesterol-lowering drink market and has become the package format of choice. Unilever has chosen the 100 ml drink format for every single functional food launch in Europe over the past 18 months, including an omega-3 drink, a blood pressure-lowering drink and a drink that delivers two of your “5-a-day” fruits and vegetable intake. This packaging innovation – a convenient daily dose – has grown in the European market by more than 50% in the space of just two-and-a-half years. These little bottles account for over 30% of the European market. Slowly and steadily these innovations and modifications will make their way into our markets, just as these brands and others are finally setting up shop here. Entry filed under: Category Evolution, Packaging, Uncategorized. Tags: Calorie Packs, Chips Ahoy, Consumer preferences, Oreo, packaging changes, Probiotic drinks. Competition brings about innovation. I think opening the Indian automobiles market has made Maruti Suzuki much more competitive than it was earlier (with more car options, better performance etc). It is the same case in the F&B market – as more products fill the market it will only be good for consumers and companies alike.